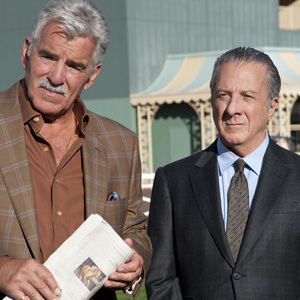 You may have heard that Dustin Hoffman's HBO show Luck just got cancelled because 3 horses had to be euthanize due to injuries obtained on set. The show was about horse racing. That does not peak my interest at all. The sad thing about this is that there was really no warning about it being cancelled when they had to lay off the entire crew without severance. Tough industry. Super lame.